I was on the server one day and a huge group of players were speaking in Polish. I wanted to be able to converse with them but was unable to because I would have to be using google translator constantly. And I asked them to speak English, but they didn't understand me, or didn't understand how to speak English. Most people would ban these guys, or mute them, or force them to talk in another channel. I decided to take a different approach this time. the text will be translated into polish or japanese. Then, in case the translations are a bit wacky, I make it so people can still see the original text the other people typed in as long as they hover on the : symbol. [Rank] Name : <---- hover on that thing to see the original message they typed. It will bring the server together, I'm sure. Tomorrow when they come on I look forward to trying this out. What do you think of this approach? Would you use it on your server? This is awesome, would use! very clever ^^ i was on a server once with someone who spoke spanish, but i didnt understand them. lucky for me i could decipher some of it. 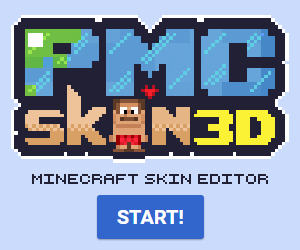 This plugin deserves more views! This sounds amazing! Thank you! Have you tried using it yet? You can test it out on the server. I like it, this will help players communicate and have fun together. If I had a server I would definitely use a plugin like this. Thank you! =D I'm really happy I was able to get it working so well. It's a total game changer like you say. Our ability to create is capped by our ability to render.